People expected to be in the path of Hurricane Irma are using their phone as a lifeline via apps and other services. Just when it seemed that monstrous Hurricane Harvey had passed, South Florida residents are now prepping to face Hurrican Irma, a Category 5 storm with sustained winds of 185 miles per hour that could reach U.S. shores by the weekend. On Thursday, Florida Governor Rick Scott urged residents to use services such as Gas Buddy, an app that finds the lowest gas prices in your area, Expedia Inc. (EXPE - Get Report) and Alphabet Inc.'s (GOOGL - Get Report) Google Maps to stay connected as the storm nears. Scott also said the state is working with Google's emergency response team to mark closed roads in real-time. The hope is that it will help residents evacuate affected areas quickly, without having to wait for updates from crowdsourced traffic app Waze. The National Hurricane Center has called Hurricane Irma a life-threatening storm that could be "potentially catastrophic" and possibly one of the strongest storms ever measured in the Atlantic Ocean. As of late afternoon on Wednesday, the storm had dropped down into San Juan, Puerto Rico, after barreling through the islands of St. Barts and St. Martin. Some South Florida regions, including the Miami-Dade, Broward and Monroe counties, were already evacuating, had announced school closings and were setting up shelters. Florida Governor Rick Scott warned residents that Hurricane Irma is poised to be stronger than Hurricane Andrew, the Category 5 storm that tore through the state in 1992. Floridians took to platforms like Facebook Inc. (FB - Get Report) and Twitter Inc. (TWTR - Get Report) , often used during natural disasters and other crises, to spread information and alerts about Hurricane Harvey. But Hurricane Harvey also proved that social media platforms aren't the only resources available for those stuck in the path of the vicious storm -- a valuable lesson that could come in handy as Hurricane Irma heads stateside in the coming days. "To provide access to accurate and useful transportation information, we use algorithmic and manual methods to accounts for everyday and emergency road closures," Google told the Verge in a statement. "We're working directly with Florida officials for help to provide up-to-date information to those affected by the storm." Zello, a free walkie-talkie app, saw 20 times as many new users sign up on the app during Hurricane Harvey as it did the week prior and is currently the No. 1 app on the App Store. Other hurricane-related apps also rose to the top of the App Store on Wednesday, including the NOAA Radar Pro app, which is the No. 1 paid app, as well as Hurricane Tracker, which is the second most downloaded app. Gas Buddy was the second most downloaded free app. To use Zello, users have to be connected to a cellular or wireless network. Once connected, the app lets users join channels and immediately send voice messages using a push-to-talk feature. 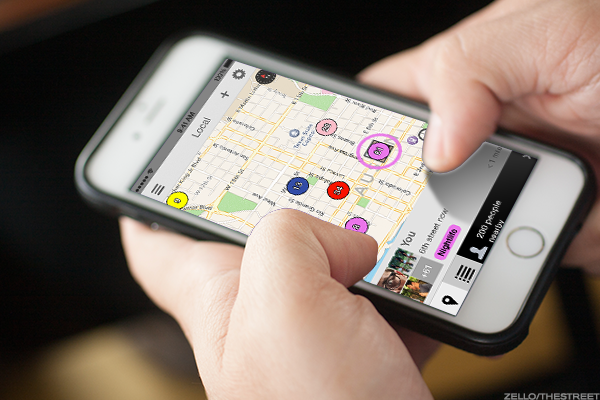 People in crisis used the app during the worst of Hurricane Harvey to seek help, notify others of their location and receive evacuation information. The app now counts at least 100 million active users and already has at least five channels dedicated to Hurricane Irma news and updates, some of which have tens of thousands of subscribers. The app has seen spikes in activity during other natural disasters and crisis situations, including the historic floods in Louisiana last year, the 2010 Arab Spring and the 2014 protests in Venezuela, said Zello CEO Bill Moore. The Cajun Navy, a group of volunteer civilian rescuers, used the app in Louisiana last year, as well as this year during Hurricane Harvey, he noted. Moore said he tuned in to some of the channels broadcasting during Hurricane Harvey and heard rescues being carried out live on the air. In one case, he listened to a Zello channel as a volunteer canoed into a flooded apartment where children were stranded sitting on a kitchen counter and heard the kids cheer in celebration of being rescued. "It was riveting because it's real life, where the stakes are high," Moore said in a phone interview. "[The rescuers] were successful because if you look at the loss of life during Harvey vs. the size of the city and compare it to other disasters, the volunteer citizen efforts must have made a difference. And so, of course, the Zello team is proud." One unlikely app that became helpful to Hurricane Harvey victims was Snap Inc.'s (SNAP - Get Report) Snapchat and, specifically, its Snap Maps feature. 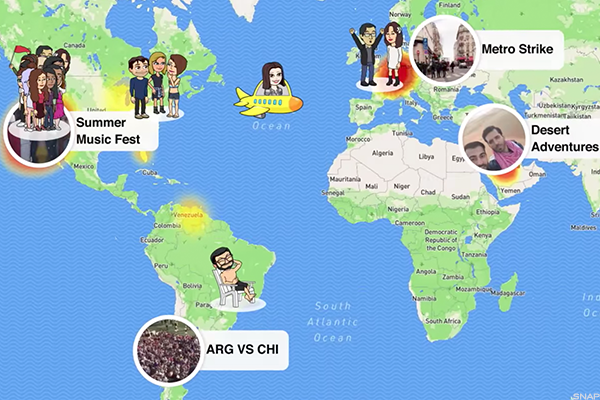 Snap Maps, rolled out in June, lets users share their location publicly or with friends on an interactive map. Many users were documenting the chaos around Hurricane Harvey on their Snapchat Stories, which can be accessed alongside their location on Snap Maps. Snap started covering Hurricane Harvey during preparations, before landfall and provided rolling news coverage during every stage of the storm. On Snap Maps, Houston residents snapped videos of victims being rescued from flooded homes by boat. The Our Story stream for Harvey, which is a curated collection of photos and videos, saw more than 400,000 Snap submissions over the four day period when Harvey made landfall. By comparison, during the Louisiana floods last year, Snap received a total of 84,000 Snaps over a 96 hour period. By Wednesday evening, Our Story streams were popping up in regions along Hurricane Irma's path, including the Dominican Republic, Puerto Rico, Antigua, Martinique and the British Virgin Islands. A quick tour through some of the posts on Snap Maps showed residents preparing for the storm, flooded roadways and golf-ball sized hail raining down from bruised skies. Ahead of Hurricane Irma, Florida residents were also using Discord, a free, voice over IP chat app that's primarily frequented by video gamers, to prep for the incoming storm. Discord has more than 45 million users and has secured at least $50 million in funding from investors including Benchmark Capital, Time Warner (TWX and Tencent. In one chat, titled "Hurricane Irma," one Broward County resident posted that he had just put up hurricane shutters, while another user from Palm Beach County asked where to find sandbags. The server was first posted on Reddit in a thread dedicated to Hurricane Irma news, tips and other posts, including one from a user that had created a Google Map with information on traffic, road closures and evacuation routes. A Discord spokesperson said the company was happy to hear that people are using the service to help those who need information and resources in real time during Hurricane Irma. "Discord is all about bringing people together and there is no better time for that then in an emergency situation like this one where people need to know where to go and need to know in real-time what resources are available to them," said Tali Fischer, a Discord spokesperson, in an email. "The team at Discord is thrilled to use our technology for the benefit of anyone in trouble so if there is more we can do, we are ready and willing any time."